The Persians has the honour of being the oldest tragedy we know off, ironically, it addresses a very modern issue. The story told is the one of the Battle of Salamina, where King Jerjes, leader of the Persian army, is defeated, the year 480 a.C. But this play isn’t just about the ancient battle, the text has been adapted in order to draw attention to the Persians. 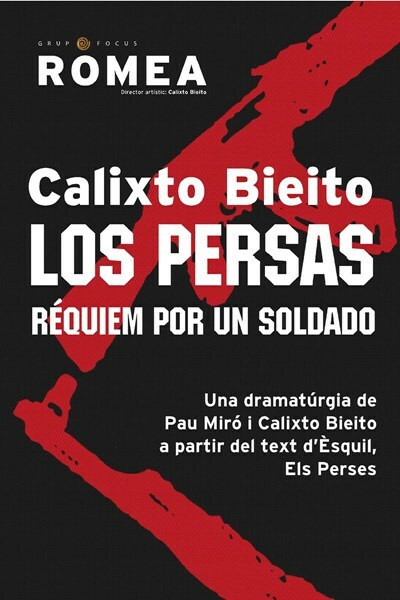 This “Requiem for a soldier” is not about peace and war; it’s about human beings, simple and mortal. It’s about their sadness, their regrets, a lost war and, overall, for its lost soldiers. Because dead soldiers with name and surname can still be harmful.